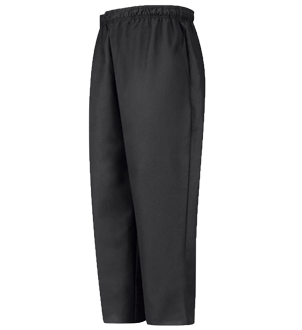 Full-elastic waist with drawstring. Two side seam pockets. One back patch pocket. Pre-cure with soil release finish. 65% Polyester / 35% Cotton Twill. Country of Origin: Imported.